Madeleine Walker School of Ballet was established at the 735 east 50th street address in 1958. During the legacy of these past 50 years the school has shared the joy and challenge of dance with many generations. The school has produced scores of professional dancers, artistic directors and choreographers, many who now work in the United States and Europe as well as other countries abroad. All those who were fortunate enough to know and work with Madeleine Walker carried a love of dance with them outside the studio walls. Now they return with their children and grandchildren to start their own wonderful journey of dance. We are proud to continue this tradition of excellence established in years past and look forward to the future. As a student Ms. Baxley trained with Bojan Spassoff and Stephanie Wolf, both directors of The Rock School for Dance Education in Philadelphia. She also studied with teachers from New York City Ballet as well as Karena Brock Carlyle of American Ballet Theater. While in London England, Ms. Baxley studied at Covent Garden and continued her studies in New York City with David Howard and Michael Vernon of The Royal Ballet as well as Edward Villella of New York City Ballet and Gabriela Taub-Darvash of the Vagonova School in St. Petersburg, Russia. She won scholarships to The Alvin Ailey Ballet, The Harkness Ballet and The Joffery Ballet under the directorship of Robert Joffery. Ms. Baxley began her professional career in New York City. Edward Villella principal dancer with New York City Ballet and director of Miami City Ballet, invited Ms. Baxley to join his company, Eglevsky Ballet and his touring company Edward Villella and Dancers. During this time she danced many principal roles. Among them, Balanchine’s Square Dance, Concerto Barrocco, and Allegro Brilliante. She danced as Mr. Villella’s partner in Shenandoah pas de deux, which he choreographed. She also received excellent reviews in the New York Post for her performance as The Blue Girl in John Clifford’s Fantasies. As a dancer Ms. Baxley has toured the United States with such stars as Mikhail Baryshinkov, Gelsey Kirkland and Natalia Makarova. Roles created especially for Ms. Baxley includes Edward Villella’s Prelude, Fugue and Riffs, Michael Vernon’s Recollections and New York City Ballet choreographer Richard Tanner’s La Peri. Gaye loves sharing her knowledge of dance with her students. As a teacher her students have been accepted into the most prestigious dance programs in the country. 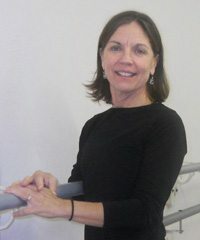 She is currently owner and director of the Madeleine Walker Coastal Ballet Theater in Savannah Georgia, where she has been training dancers of all ages for over twenty five years. Gaye is a guest teacher for schools and colleges throughout the southeast. She is also a certified Vaganova syllabus instructor as well as a certified teacher of the American Ballet Theater’s National Training Curriculum Primary through Level Five. While serving on the Georgia Council for the Arts Individual Artist Panel she has reviewed and allocated funds for artists’ grant applications. Born in Atlanta Georgia, Ms. Inglis began her formal ballet training with the Atlanta Ballet under the direction of Dorothy Alexander. Ms. Alexander invited Ann to join her company the Atlanta Ballet. Shortly thereafter, Ann moved to San Francisco and continued her studies with Lew Christenson at the Christenson Ballet School. As the artistic director of the San Francisco Ballet, Mr. Christenson asked Ms. Inglis to join his company, where she danced many leading roles. In New York City Ann taught for ballet teacher Richard Thomas. She was also featured in the famed broadway production “Call Me Madam” with broadway great Ethel Merman. New York City Ballet choreographer and director Jerome Robbins was dance master for the show. While in New York Ms. Inglis was honored with an invitation to join the New York City Ballet at Lincoln Center under the directorship of George Balanchine. Founder and director of New York City Ballet. Mr. “B” cast Ms. Inglis in many famous roles. Among them are some of his greatest works. Including Symphony in “C”, Concerto Barrocco, La Valse and The Nutcracker. After dancing and touring the world with New York City Ballet for over six years Ms. Inglis established her own school where she taught for over twenty five years. Ann has also served on the faculty of North Carolina School of the Arts where she taught for seven seasons. She has three children and lives in historic downtown Savannah. Erin Demers began dancing at the age of six in Columbia, South Carolina. She has been an industry teacher and choreographer for fourteen years. Erin has traveled all over the Southeastern United States as a teacher, choreographer, and judge. Erin has had the good fortune to train with Dance World Inc., Jessica Dominey School of Dance, Beaufort Academy of Dance, The Columbia City Ballet, The University of South Carolina, Hilton Head Dance School, and of course Madeleine Walker Coastal Ballet, as well as various teachers on the convention circuit. She will always consider herself a student first and teacher second. Erin has won many awards on the competition and convention circuit including scholarships and choreography awards. She has had multiple past students become Tremaine Dancer Of The Year with Tremaine Dance Competition. Erin has choreographed for Georgia Southern University. She has directed several competitive studio companies. Erin began touring and judging with Inspire National Dance Competition in 2015. 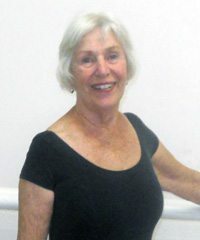 She was the 2013 recipient of the Marjorie Perry Spirit Award with Dancemakers Inc., an award bestowed upon a teacher whose character exemplifies dedication and love to teaching and educating dancers. Erin’s passions include children and dance. She hopes her love for this amazing art form radiates outwardly and touches every student she teaches! Erin is a certified personal trainer and group exercise instructor. She holds a BA in English from the University of South Carolina. Elizabeth Rauers Newkirk danced in a university environment while learning Ballet and Modern theoretical and practical techniques. After graduating from the University of Georgia with a Bachelor of Arts, Elizabeth embarked upon a professional dance career in New York City. There she danced for several major dance companies, among them Laura Dean Dancers and Musicians, Battery Dance Company and City Center Dance Theater. She has toured extensively throughout the United States and Europe teaching master workshops and performing. Elizabeth taught Ballet and Modern dance in Okinawa Japan before moving to Savannah. Her most recent work includes program development, teaching, choreographing, and performing.